For a good few months in 2012, Chivalry: Medieval Warfare was my favourite multiplayer game. 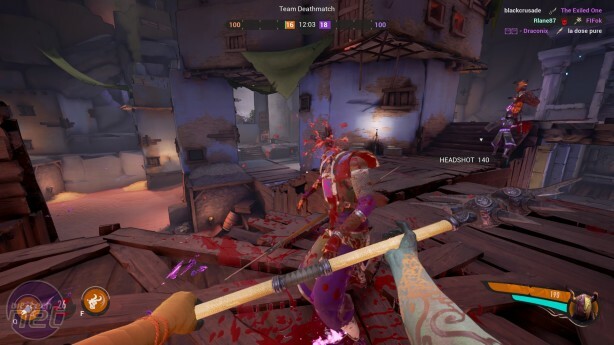 It succeeded in the unenviable task of making first-person melee combat enjoyable, and despite its austere tone and grisly violence remains one of the funniest games I’ve ever played. Watching somebody choke on their own arterial spray probably shouldn’t be cause for mirth. But in Chivalry, it absolutely is. 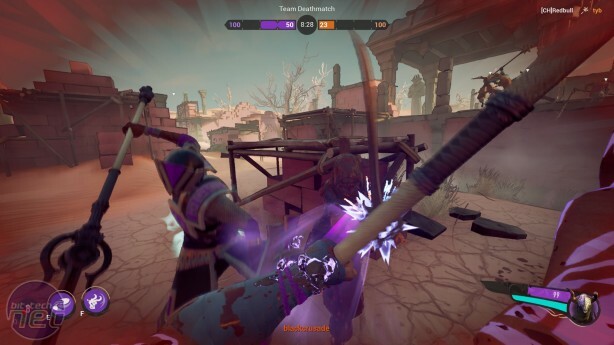 This being the case, you’ll be unsurprised to hear I’ve been looking forward to Torn Banner’s next game, which puts a magical Arabian-nights twist on Chivalry’s gruesome melee combat. Yet while Mirage: Arcane Warfare still has the capacity to make me laugh, ironically some of the magic has been lost. What we’ve got here is the same basic combat system and game structure as Chivalry but in a new setting and more distinct classes. Up to 20 players duke it out in a range of brightly coloured Arabian environments, choosing either to thwack each other with swords and maces or pelt each other with magical spells. At least, that’s the theory. In practice, most of the magic is used as aids to the thwacking, rather than as the centrepiece of the game itself, and I think that’s where Mirage begins to go awry. Let’s delve a little deeper. 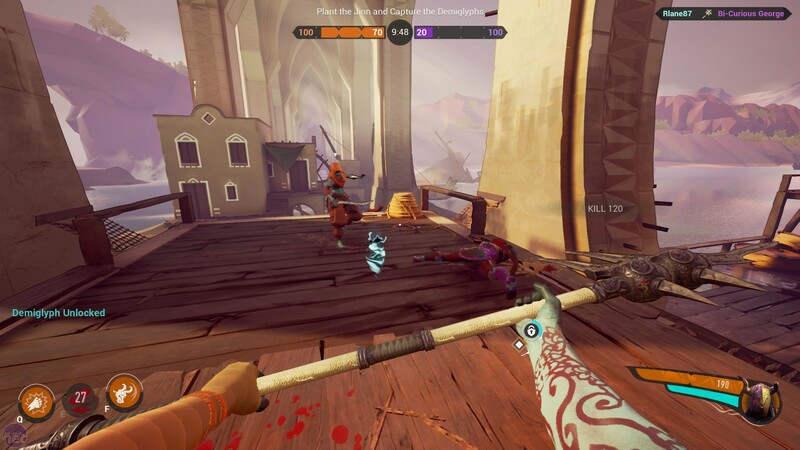 Mirage expands the number of classes over Chivalry from four to six and increases the diversity of those classes along with it. This new roster of combatants includes the Taurant, a slow but incredibly powerful close-combat fighter whose abilities are all about doing maximum damage to multiple enemies at once. 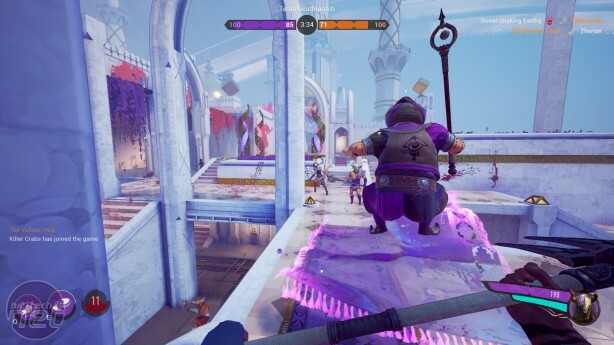 Meanwhile, the Entropist is a portly, turban-sporting sorcerer who acts as a support class, healing allies and firing out ranged attacks while floating around on a magic carpet. Every character uses Torn Banner’s unique combat system of horizontal swipes, overhead strikes, and forward thrusts and is capable of holding their own at close quarters (provided you learn how to parry effectively). On top of this, each character has access to a total of six special abilities, three of which can be equipped during play. The Taurant’s abilities include 'Whirlwind', where he spins around with his weapon outstretched, dealing damage to anyone caught in its circumference. The Taurant can also summon a magical boulder and propel it forward, which ploughs through any enemies stood in front of him. The Taurant was probably my favourite character to play, followed by the Entropist and then the Viperess. A speedier fighter wielding twin blades, the Viperess can vanish in a puff of smoke for several seconds, handy either for retreating from a fight or appearing behind an opponent for a cheeky backstab. Deck13 takes Dark Souls into the future. But does it have that same spark, or has it blown a fuse? Let It Die is a bizarre, free-to-play Dark Souls, but it's also, whisper it, quite good fun.